Our personal shoppers provide clients with a fresh new look at high fashion, with artisan tailors on-site to guarantee every garment fits as if it were made just for you. We carry the top-quality apparel, at a range of price points. Chat with a real person—in real time—about everything from fit to budget. We’ll find clothes you love so that you can feel confident for every occasion. Fashion stylists, color coordinators, jewelry designers, and tailors come together to create your dream wardrobe. Everything from T-shirts and Jeans to Evening Gowns and anything in-between. Perfect the fit of your favorite clothing pieces with alterations by our Master Tailors. The latest fashion trends, must-have clothes, and best style advice and inspiration for ladies. Get acquainted with our favorite Dress lines, classy separates, denim we love, and trendy styles from Europe, Canada, and the U.S. The only way to truly stay ahead of a trend is to predict it. We’ve gotten ahead of the curve and outlined some of the hottest styles you’ll see blowing up this year! Look your best, trust us. 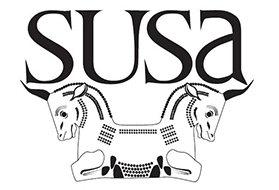 Established in 2006, Susa is one of our three boutiques in the heart of the Claremont Village. It was created as a request by our lady customers at Xerxes for Gents, our men’s store. The special attention to detail, high quality merchandise, and customized tailoring did not exist in women’s stores. We decided to bring the idea to life! Today, we have the great pleasure of working with both long-time returning clients and newcomers to put together personalized wardrobes for every style and need. 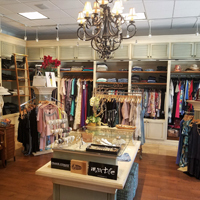 Visit us for a unique boutique experience! Women's Clothing Store in Claremont, California. 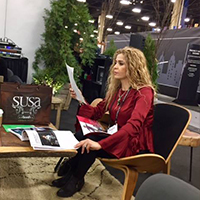 Visit Susa Boutique in Down Town Claremont and let us take care of your every need while you sip away your worries on a cup of coffee or tea! Send us your contact and request an appointment. © Copyright Susa Boutique. All rights reserved.